As alike as they look, these two affectionate and mischievous pups have very different backstories. 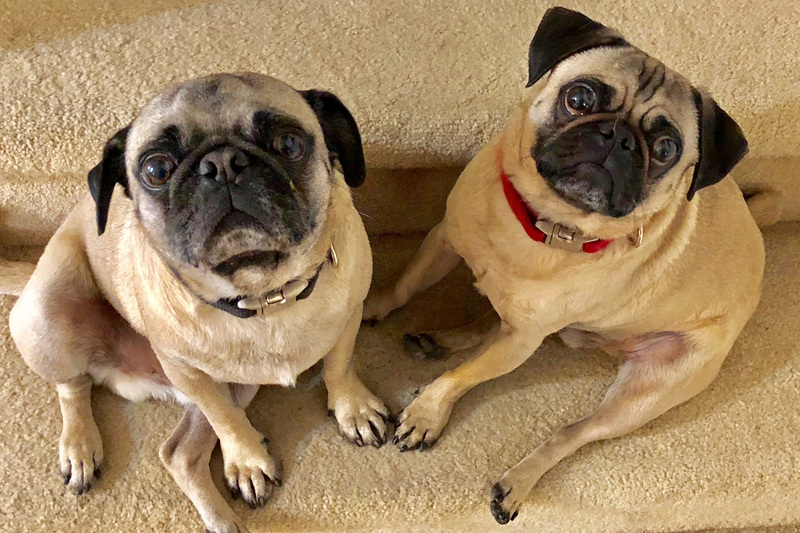 Kuki (right) was born in South Korea and saved from an unimaginable fate at 11 months old by a rescue group that flew him to the U.S., gave him all his shots and fostered him until he found his forever home. Guapo was born in Tijuana and lived outdoors in a junkyard for years before being rescued and adopted in 2017. He is a love sponge at home, but there isn’t a dog in Toluca Lake he hasn’t barked at on his three walks per day.